How to Get Rid of a Stopped Up Nose – No one deserves those days when the nose decides to be congested. Besides we can not breathe right, we also need to have a handkerchief around. The good news is that there is an exercise that can wipe the nose easily. According to experts, it works for 85% of people. 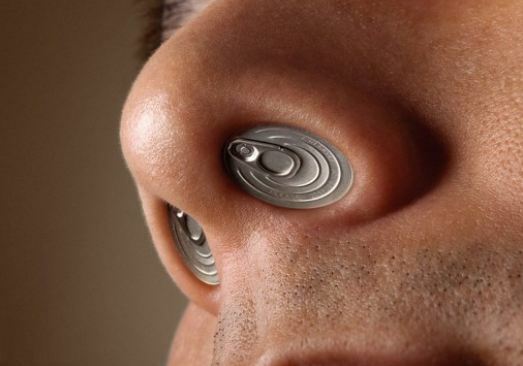 The cool thing is that the effect is quick, in just one minute the nose can be free of secretions. The technique is very easy and requires only a breathing exercise. It possibly would have been invented by Russian doctors and became quite popular. To perform the method of breathing, known as Buteyko, and get rid of the stuffy nose from time to time just follow a few simple steps. Stand in an upright, relaxed position on a regular chair. During exercise, t is important to keep your mouth shut at all times. After that, exhale through your nose, if not possible, exhale through the mouth. Then hold your breath holding your nose as if you were diving into a pool. Move your head back and forth as if waving. Continue with mouth closed, holding your breath and shaking your head until you feel a slight discomfort and the need to breathe. When this happens, release your nose and breathe through it, always keeping your mouth closed. After, breathe deeply once and then continue to breathe in a slightly slower and calmer way for a couple of minutes, still sitting in your chair. Repeat if necessary. But beware, these tips are only for people with a stuffy nose, not for those with chronic sinus problems or nasal polyps. So, what do you think? Previous post Do You Eat Pomegranate Seeds?